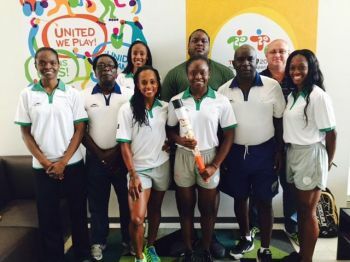 ROAD TOWN, Tortola, VI – As the track and field athletes arrived in Toronto, Canada to compete in the Pan Am Games, ESPN caught up with Virgin Islands squash player Joe Chapman to discuss the territory’s chances of breaking a medal drought. 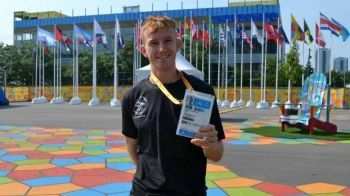 Of the 41 countries involved in the 2015 Pan American Games, only two have never won a medal in the competition's history: [British] Virgin Islands and Aruba. Waiting for the first time, the two Caribbean nations have small delegations now in Toronto but believe they can break the taboo this year to stop being the only virgin in the Americas. Participating for the ninth time in 17 editions of the Pan Am Games, the inaugural event took place in Caracas in 1983; the [British] Virgin Islands have only six players in the current competition. Among them is squash player Joe Chapman, who was the country's flag bearer at the opening ceremony in Canada. Chapman spoke about the nation's expectation for the podium, but explained that there is no pressure for the result. 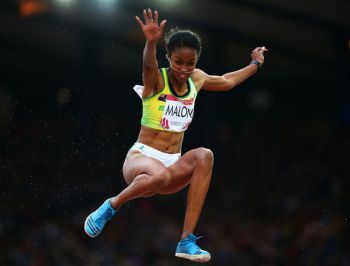 “BVI athletes are forgiven for any bad results, but we are growing at every competition and have just won gold in long jump at the Central American and Caribbean Games, which was a great achievement by Chantel Malone. This is already a great achievement. We are growing every competition, getting better, so don’t face any pressure,” said Chapman, who on the other hand, made it clear that there will be a lot of partying the day that a pan-American Games medal is won. "When we win a medal for sure the country will be very happy, it will be in all the newspaper headlines, you will have parade on the streets once the athlete returns home and it will be a great thing. And it will be a sign of success for the Olympic Committee and reward for their dedication to the sport in the country." Also in the article, ESPN added that with a population of just 28,000 and a total area of 152 km2, the [British] Virgin Islands, which shares a maritime border with the US Virgin Islands, was a colony of the UK and achieved separation only in 1960 to become autonomous in 1967. Despite being a small country, the GDP is relatively high, with per capita income of $ 43,000, most of the inhabitants are very rich and there is virtually no poverty. Joseph Chapman was born in Bristol, England, but moved to the Virgin Islands when he was four years old because his parents "were looking for a good place to live quietly". At aged 10, he started playing squash, and then studied for four years at a university in New York, in the United States. As a result, he began playing the sport professionally and currently spends several months traveling the world to train and compete. "The Olympic Committee is working with great dedication to have athletes at a high level, they support us to have good coaches, good physical therapists. But often you cannot get proper training in such a small country, so you must travel to play tournaments to work with different coaches," said Chapman. In the Pan-American Games in Guadalajara in 2011, the best result of the BVI was a 14th place in the javelin throw, with Omar Jones. The hope is to improve on this performance, and athletics is well placed to finally win a medal. "Unfortunately I lost my game and I'm already out of the competition, but we have good competitors in athletics, as in the 100 meters (Tahesia Harrigan-Scott), long jump (Chantel Malone) and shot put and discus (Eldred Henry). Our friends of Aruba are also very competitive. So I think this may be the year in which all countries of the Pan American Games medal. 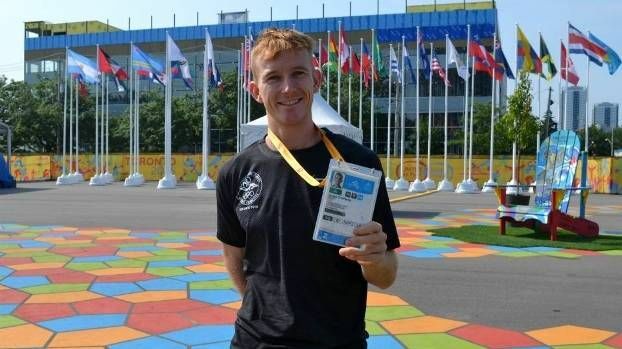 Let's see," said Joe Chapman, who was eliminated in the first round of the squash tournament at the Pan Am Games after losing to the Peruvian Alonso Escudero. While British Virgin Islands and Aruba never climbed the podium in history, the United States leads off with the picture of all editions of Pan Am Games, with a total of 4,172 medals to the beginning of the 2015 Games, followed by Cuba (1932), Canada (1696) and Brazil (1,066). go where with the poor support please! Why is there such little support for our athletes? Why does the BVI Olympic committee seem to think that we can receive top performances at these events when they give these athletes little to no support? We hear all the stories and our athletes are crying out for help and support. Can we please have the link to the ESPN interview? Why isn't Joe Chapman in the group pic with the other athletes? They say a picture can say a thousand words, and we are hearing them loud and clear. BVI Olympic Committee, seems like you guys have some house cleaning to perform. WE ARE WATCHING! !